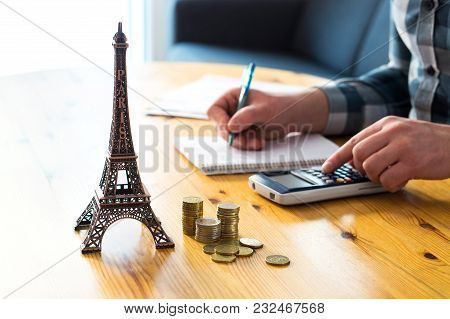 Man counting travel budget, vacation expenses or insurance cost. Traveler planning holiday in Europe. Cheap flights and hotel. 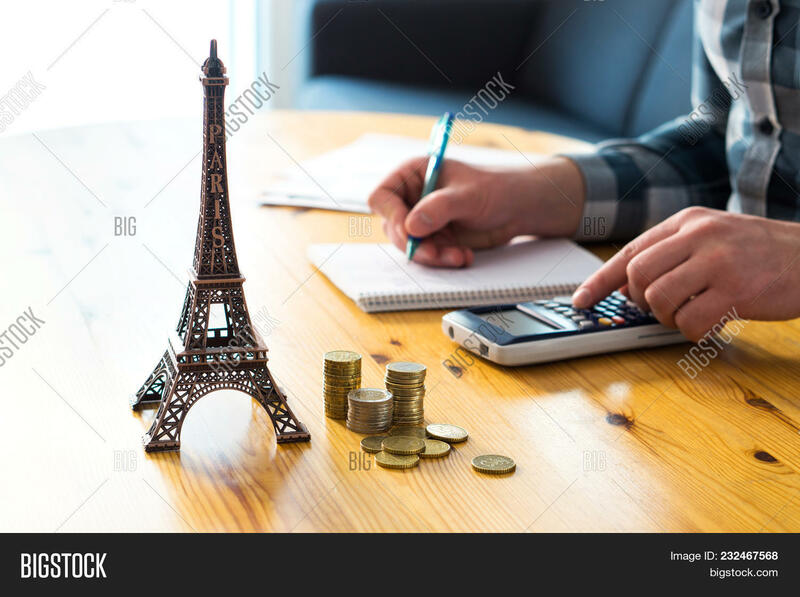 Money and little Eiffel Tower souvenir from Paris on table.